At Apple Sign & Awning, LLC we strive to earn your business and respect by providing personal attention to each and every product. We provide creative, quality, and affordable signage solutions. Our staff is experienced and qualified to recommend sign programs tailored to your individual needs. 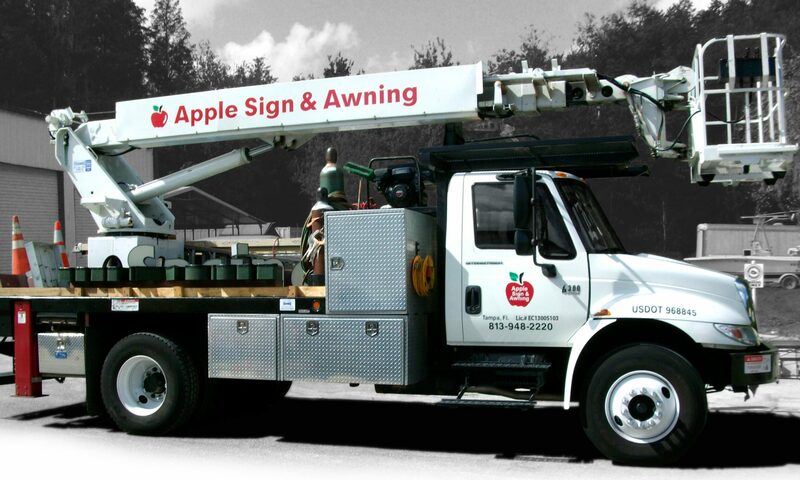 Apple Sign & Awning, LLC is a State Certified WMBE & SLBE. We are also certified with the Hillsborough County Aviation Authority as a DBE.